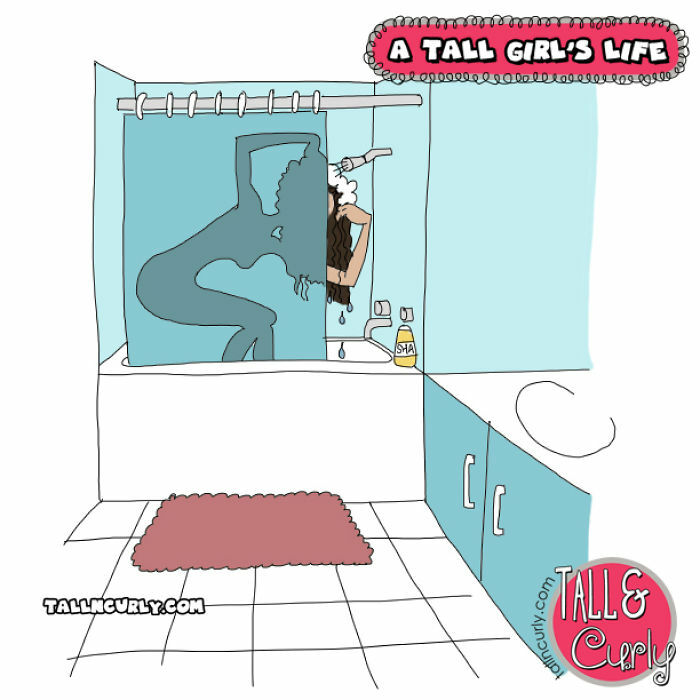 24 Annoyingly Accurate Problems That Every Tall Girl Faces! 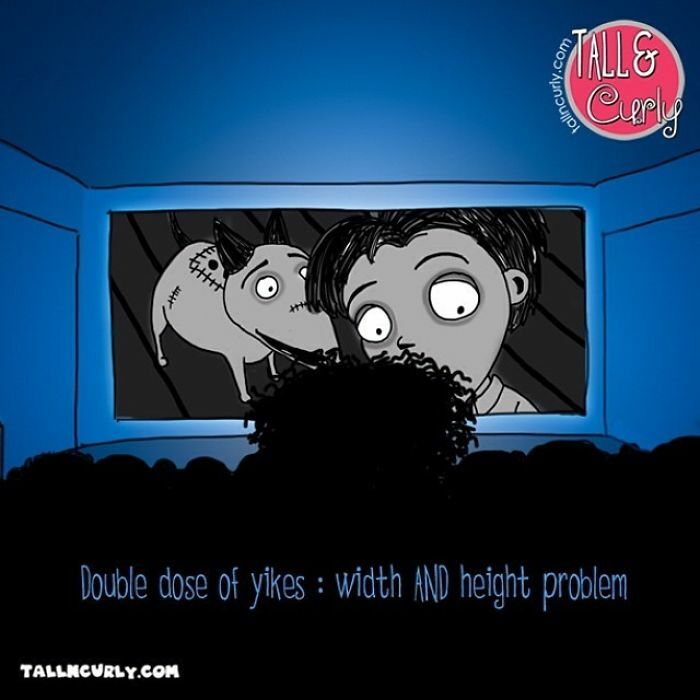 The artist behind 'Tall N Curly' has come up with an interesting series of illustrations that reveal real issues faced by tall people. 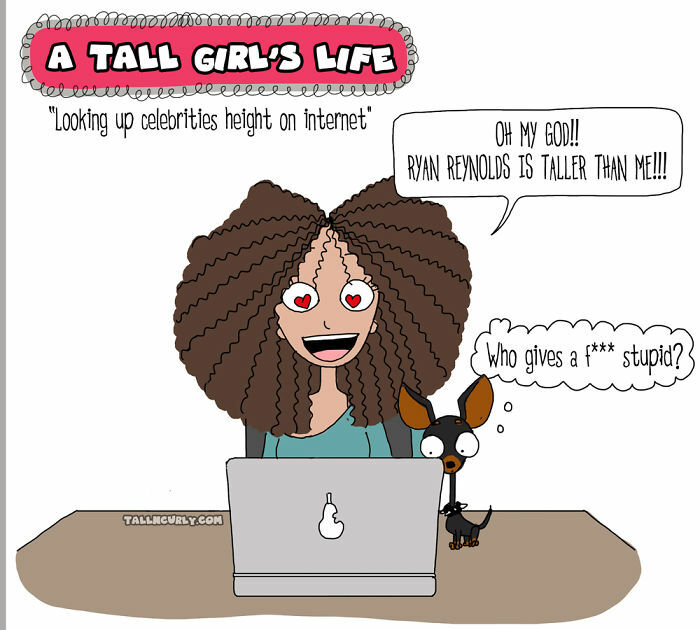 The comics are just too relatable - if you've been blessed with a few extra inches. 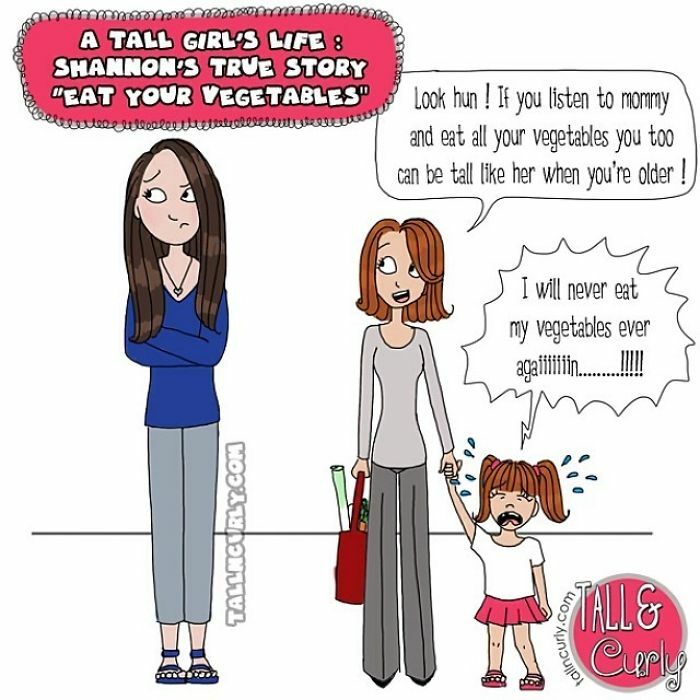 You might have come across several 'short girl' comic illustrations that reveal the kind of humiliation these people are subjected to. 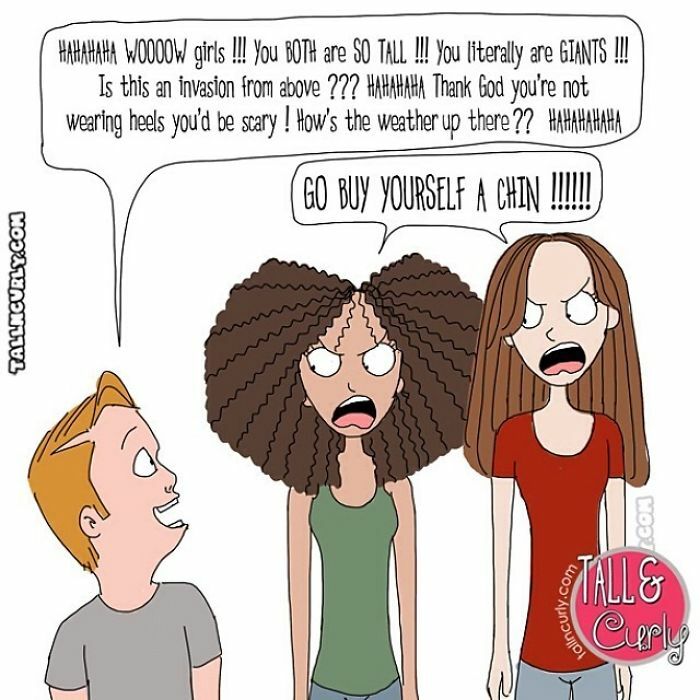 But What about tall people? Just because they can reach the top shelf without any difficulty doesn't mean they are immune to disadvantages. 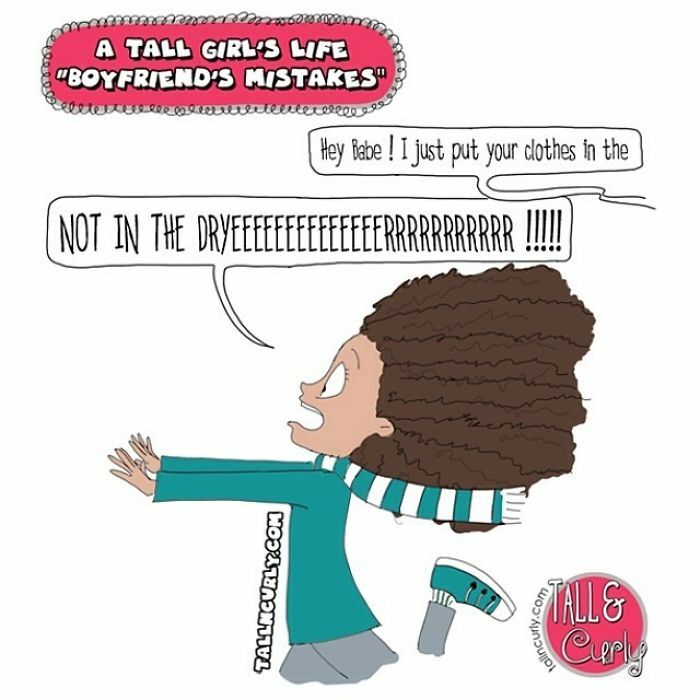 An Instagram artist talks about various problems ranging from difficulties in picking clothes and hearing jokes about being tall over and over again in her 'Tall N Curly' series. 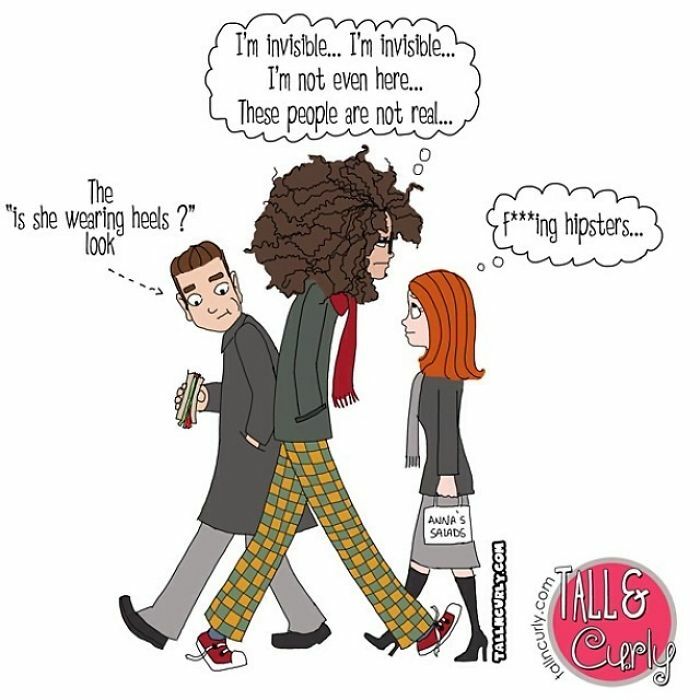 Her comics involve stories about strangers who decided to share their own experiences. As a result, she is never out of ideas! 1. Keep it to yourself! 3. 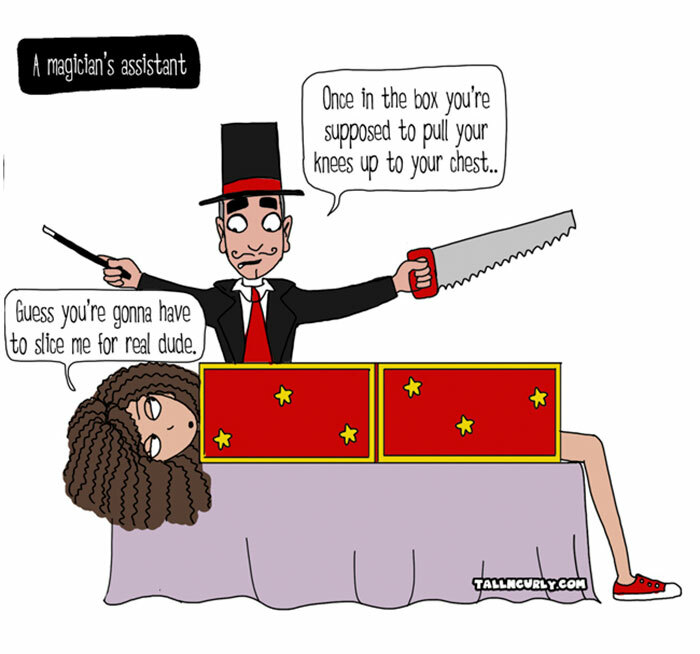 Not the best profession! You might want to give this another thought. 4. 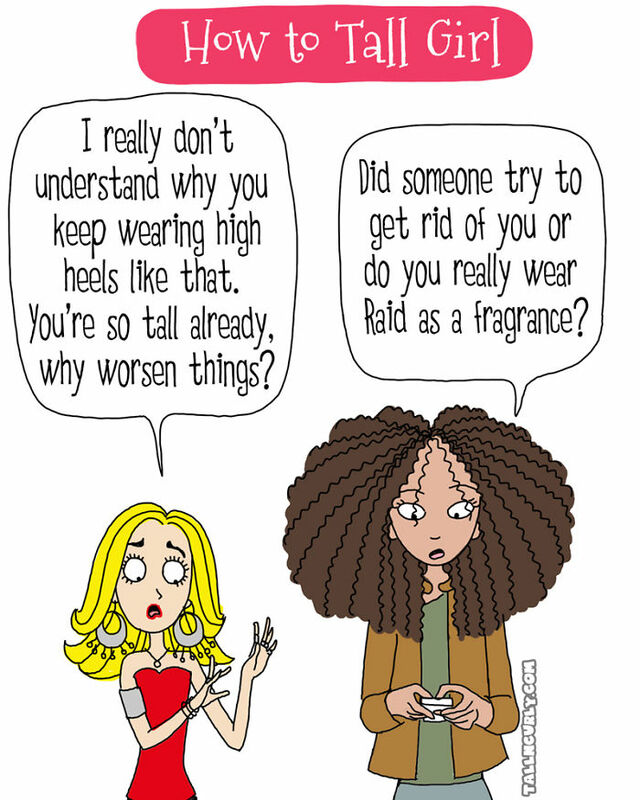 Don't you hate it when it shrinks? It affects them the most! 5. How's the weather up there? 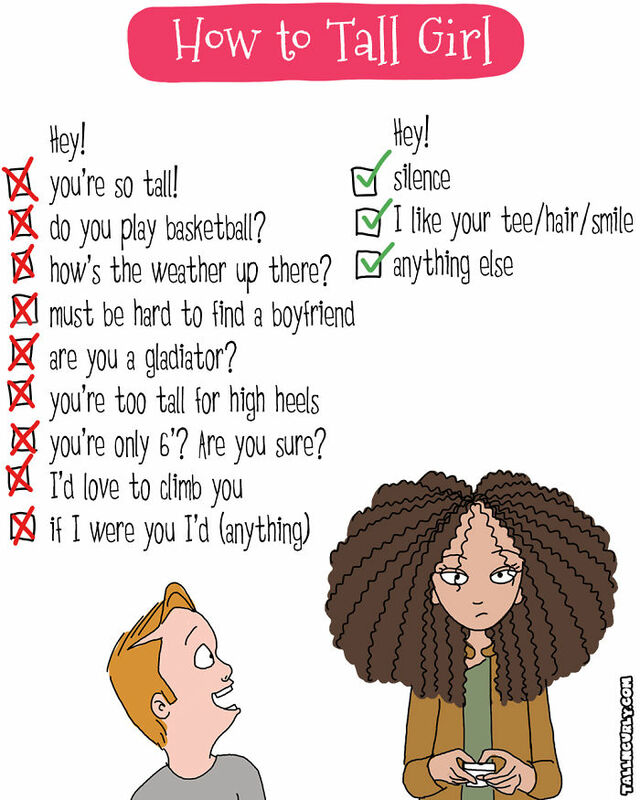 This is something you should never say to a tall girl. Things could get ugly really quick! How would you feel if someone gave you the same look? 9. 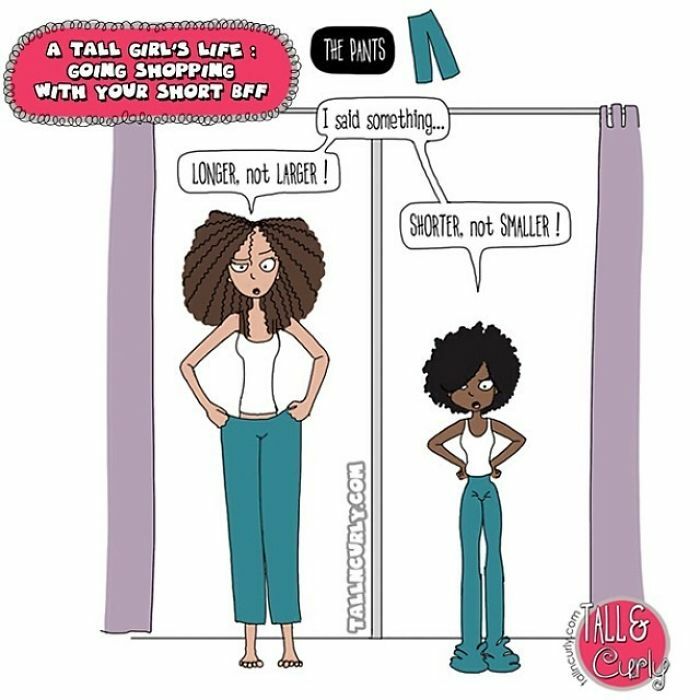 Shopping for clothes is a real struggle! 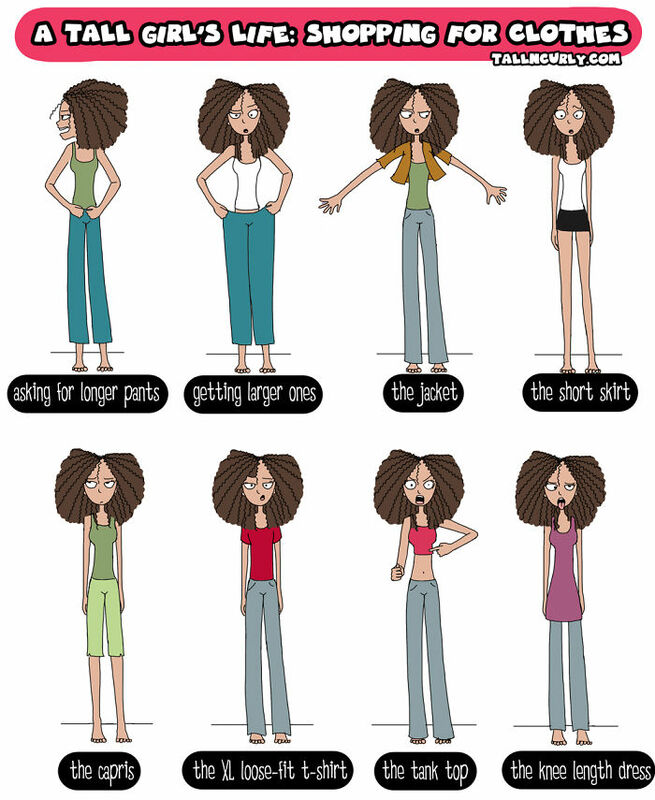 Here are some of those problems. 11. 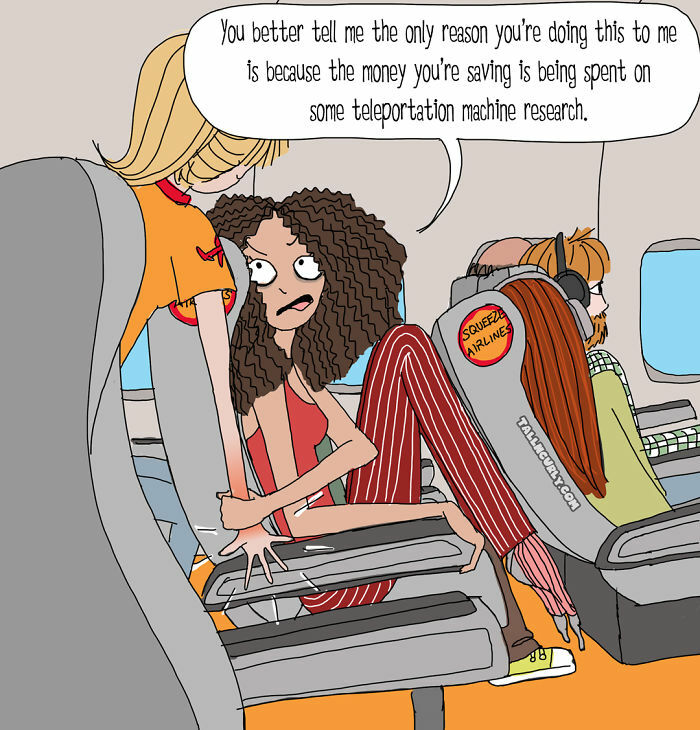 Airplane seats are a problem indeed! How could they be this cruel? They don't mean to do this. Her pet got it right! 14. Is this a chest mirror? 15. Can we get a higher ceiling? She not asking for much! 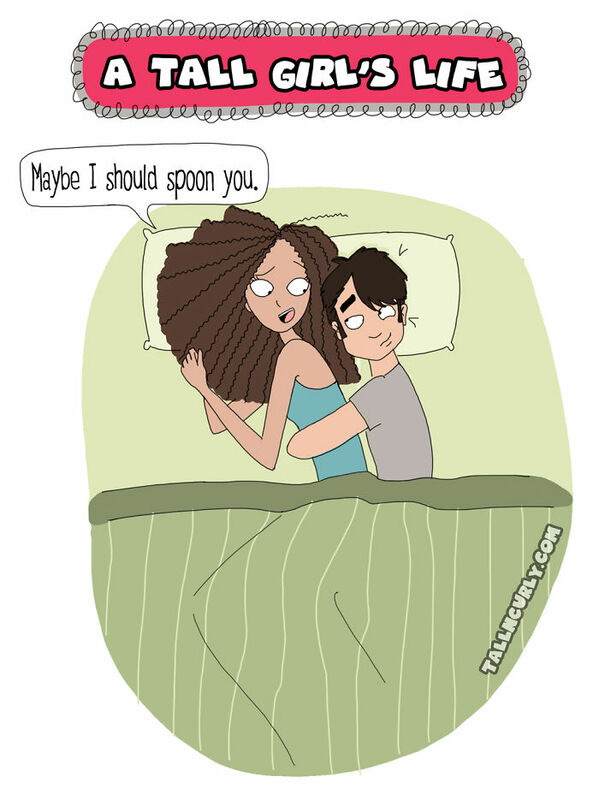 Because spooning feels a teeny bit impossible. 17. 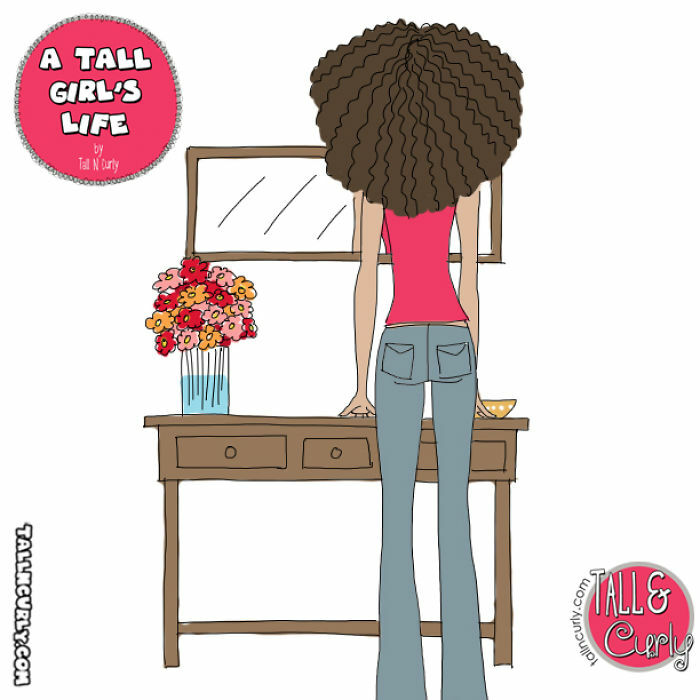 Things you do not say to a tall girl! If you really want to be friends go for the options marked by the green ticked boxes! 18. They can see everything! 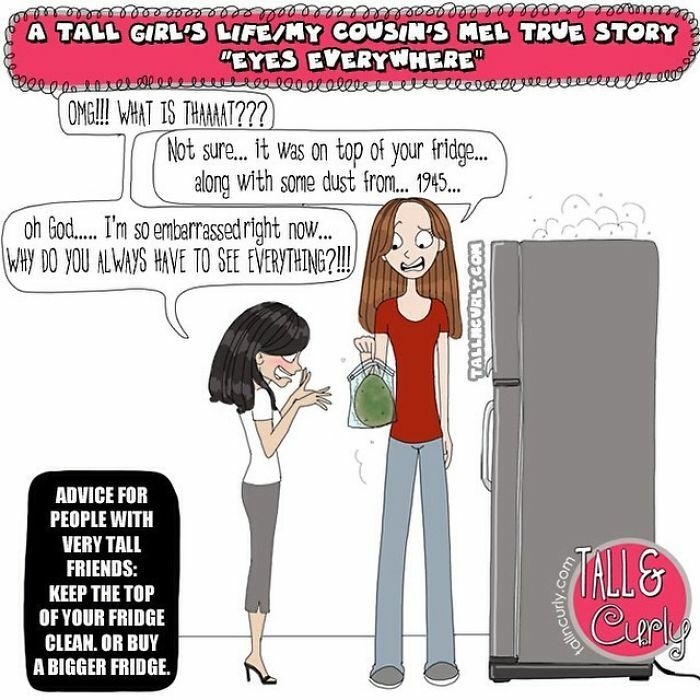 You better have your things cleaned before calling your tall friends over! This is bound to happen! Everyone has the urge to appear perfect for their partners. 21. 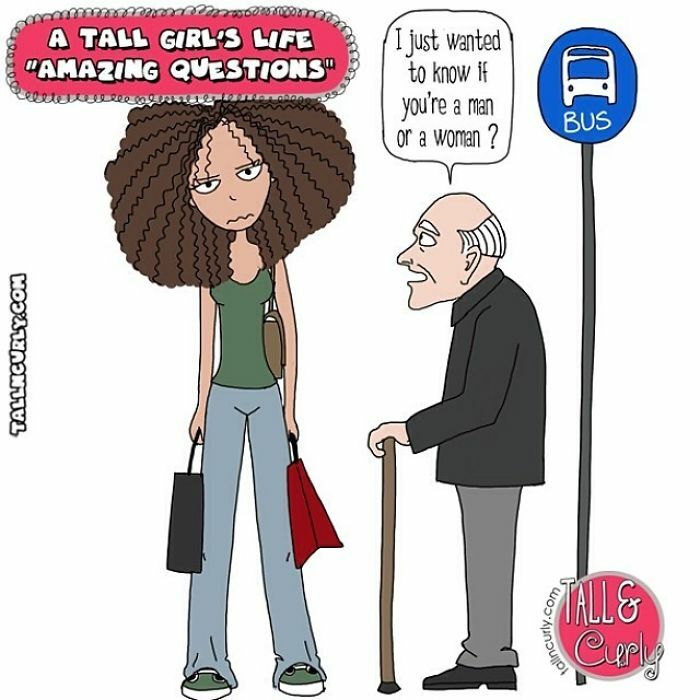 What an unreasonable question! Always grace an insult with another! 23. That's not how it works! Why give a child false hope? 24. 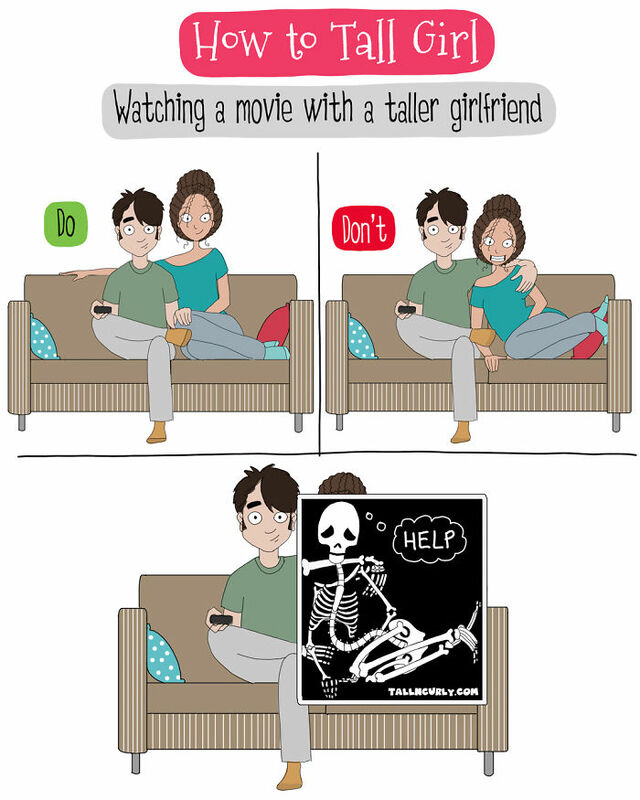 Movies can be fun until he does that! 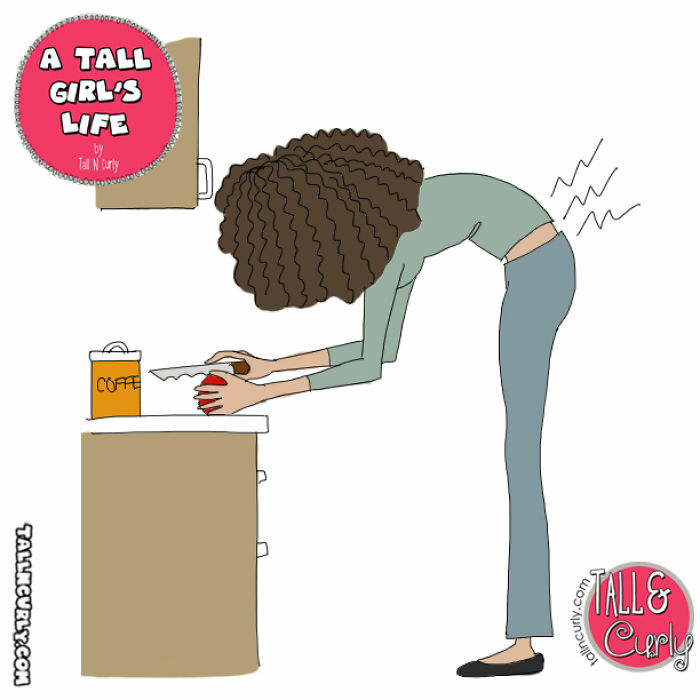 Be a little careful and avoid doing this!